A vine-ripened Cavaillon melon is fragrant, intensely flavored and juicy, its high sugar content adding sweetness to the fruit’s floral aroma. From mid-summer to autumn, everywhere you go in Provence, round melons with green stripes are stacked high in fresh produce markets. At mid-summer, melons vie with lavender for top billing in local markets and tables. After a day in Cavaillon, France at the height of melon season, it was easy to see why. Melons in the Cavaillon market: nearly round, with a yellow-green skin, striped in dark green. Inside, luscious, aromatic flesh that is sweet, but not sugary. Michelin-starred chef Jean-Jacques Prévôt has made a career of celebrating the golden harvest bounty of the region. Wendy Jaeger of Bliss Travels introduced us to Chef Prévôt, who demonstrated for us several innovative ways to cook with melons. 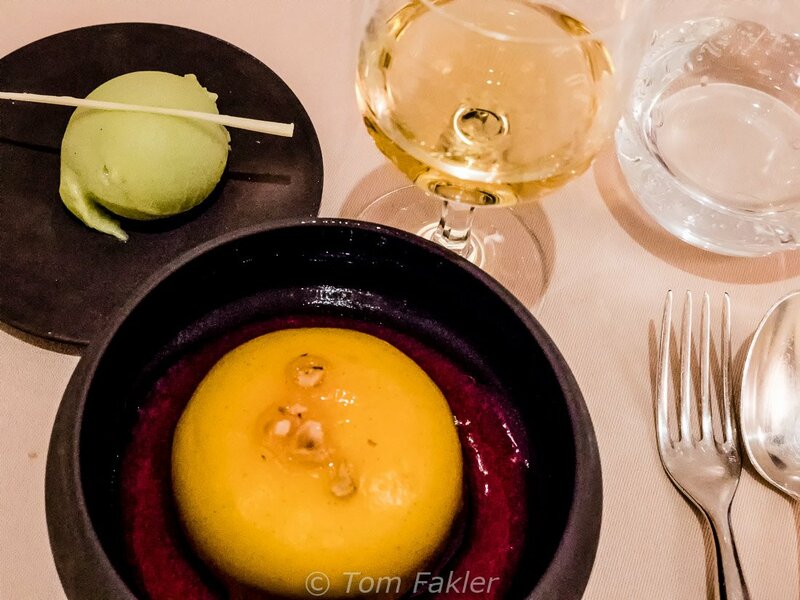 After attending Cavaillon’s Fête du Melon, a four-course melon-centric meal at Restaurant Prévôt capped our day in this melon-mad town in fine style. 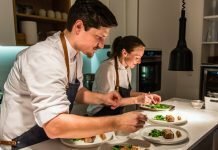 Our time with Chef Prévôt began in his kitchen, where we had a tasty glimpse of the meal we would share later in the day. Have you considered melon innards as the base for vinaigrette? 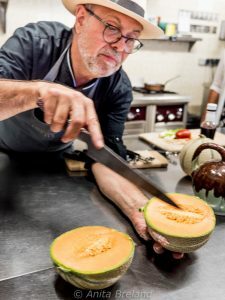 Neither had I, but Chef Prévôt showed us how to use the discarded bits to make a melon-infused dressing for the ultra-fresh leaves and fruit salads of summer. Next, he made a seafood-and-melon stew that would shine in a course of mostly vegetable starters. Best of all, he regaled us with the story of his courtship of a lovely melon vendor (!) and his subsequent path to culinary excellence in Luberon. 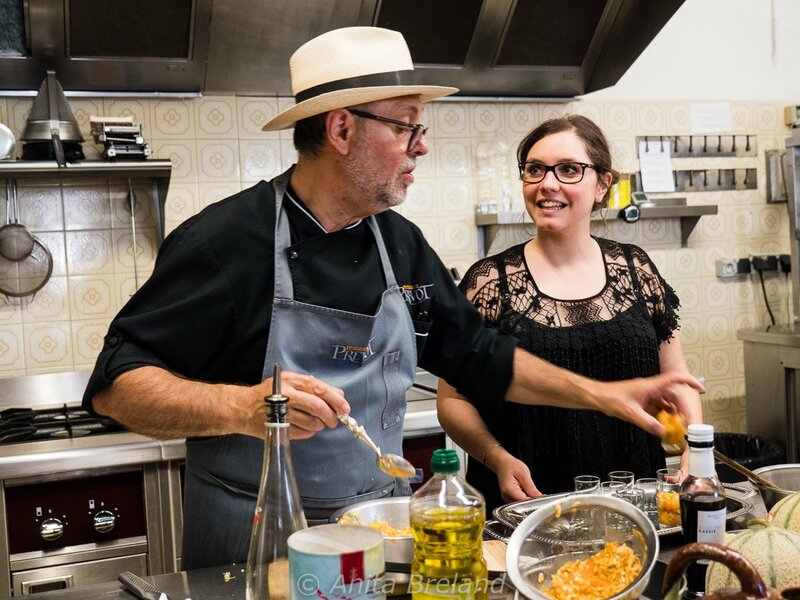 Gregarious, good-humored and passionate about the food he makes–this chef and his daughter Sandra-Rose Prévôt, who selected and served delectable wines for the meal–made our stop in Cavaillon truly special. 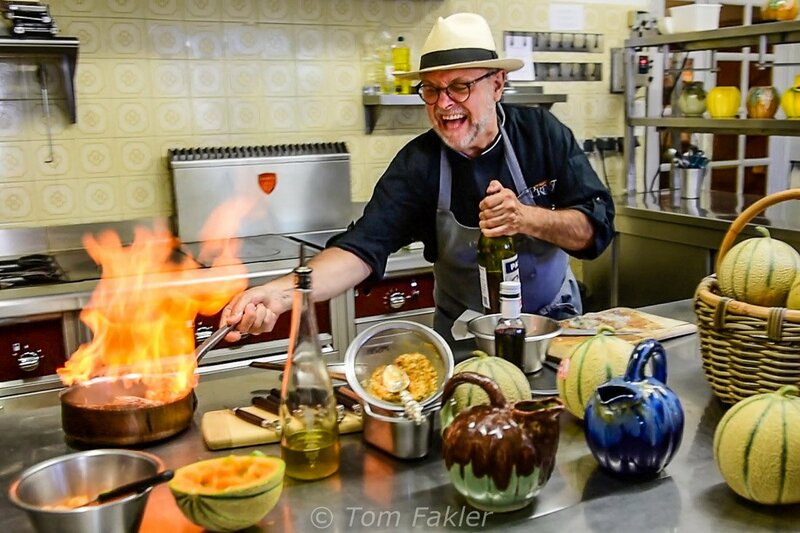 A cooking demonstration with Chef Jean-Jacques Prévôt is both enlightening and fun! If you’ve not contemplated a four-course meal of melons, you should! 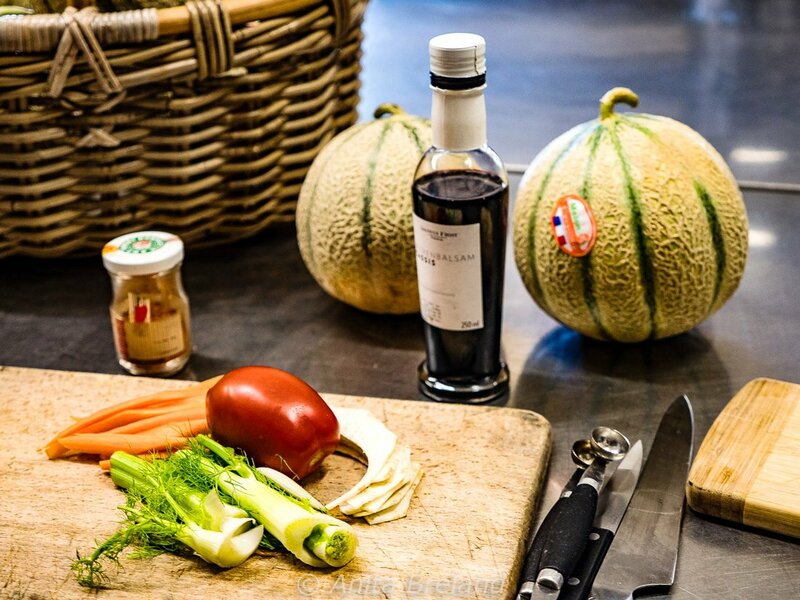 Chef Prévôt does amazing things with this fruit, including putting it into a bottle for his house-branded liqueur. We enjoyed an aperitif of Mélanis with soda to get us going, and an appetizer of fresh tomato soup with tarragon, goat cheese-chorizo cookies and eggplant cake. Up next, a starter plate of Provençal delights (the seafood stew with melon and vinaigrette-dressed melon balls appeared here), then a main course of lamb flavored with the herbs of Luberon. Dessert was an intriguing combination of summer-time flavors centered around–you guessed it–melon. The meal was sublime from start to finish, orchestrated to perfection. Wines with our meal: Bastide du Claux 2014, from Luberon and Chateauneuf-du-Pape 2014 from Chateau La Nerthe, Rhone Valley; and for dessert, Banyuls Blanc from Languedoc-Roussillon. 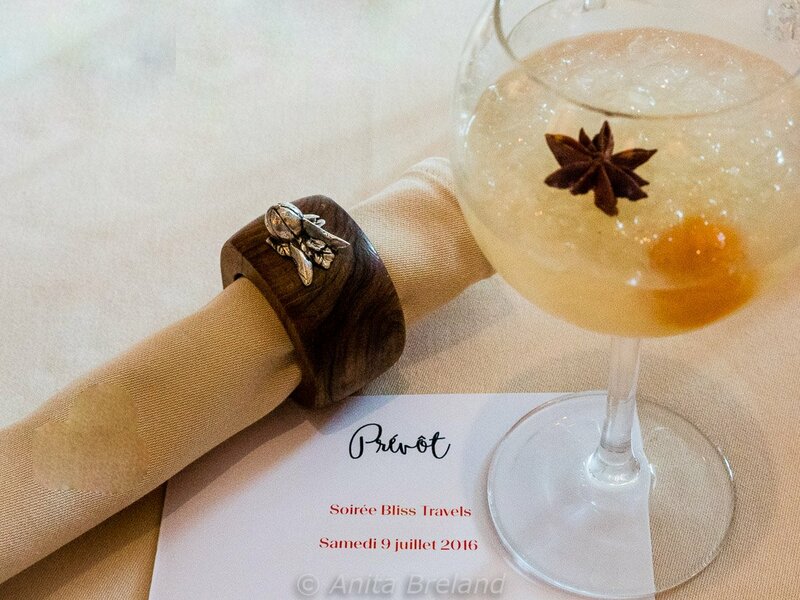 Traveling in Provence with Bliss Travels, a Michelin-starred menu to remember! 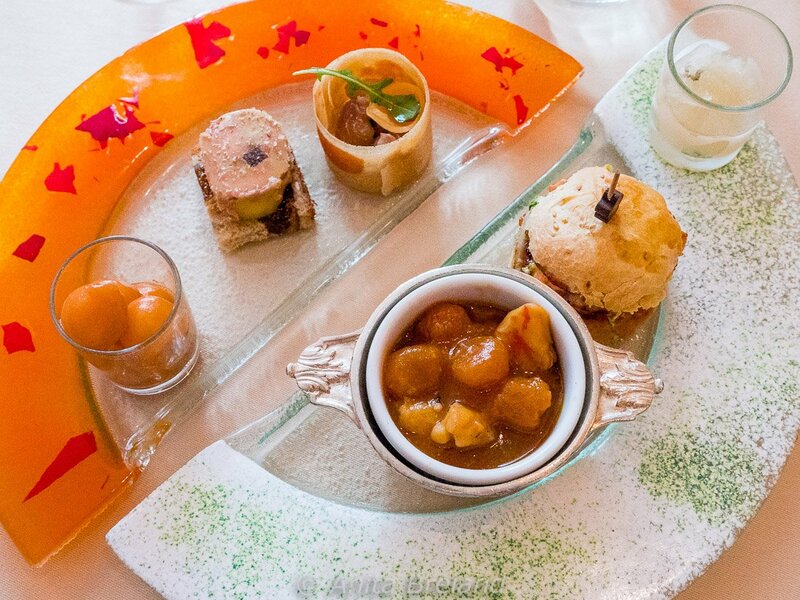 Starter: Melon balls with French dressing, foie gas with candied melon, wild sea bass ceviche, Mini Mc Prevot with melon and salmon Pan-fried melon with prawns. 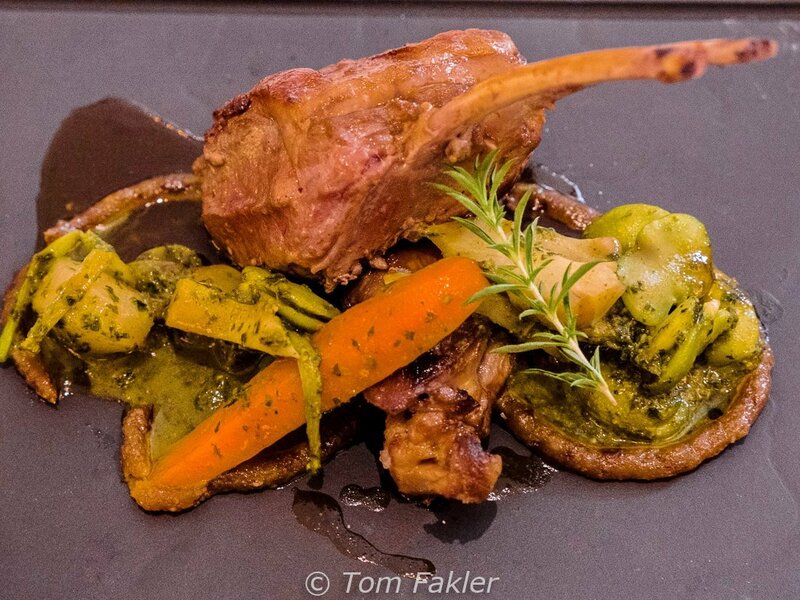 Main course: roasted rack of lamb from Alpilles with shoulder confit, pine kernels, lemon and raison, au jus, summer vegetables simmered with pesto. Dessert: Goat’s-milk dome of lime glazed with a melon glaze, avocado ice cream, and sparkling muscat grape juice. 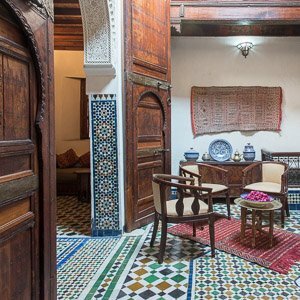 Restaurant Prévôt abounds with artistic flourishes, on the walls as well as on the plate. When we were there, a changing display of paintings and sculpture splashed the dining room with striking colors. When we took a breath before our dessert course, the chef–an artist with brush as well as spatula and whisk–came out and shared some of his own work with us. Chef Prévôt’s paintings have the same qualities as the fine food he serves: bold flourishes of a sun-washed palette, scenes of his beloved Luberon rendered with flair. Chef Prévôt pops out of the kitchen to ask if we’re happy. We are! Our time in Cavaillon revolved around the town’s annual Fête du Melon, but Restaurant Prévôt offers seasonal menus throughout the year. Chef Prévôt’s autumn menus feature dishes with mushrooms and pumpkins, which to me, is every bit as alluring as our yummy melon-centric meal! 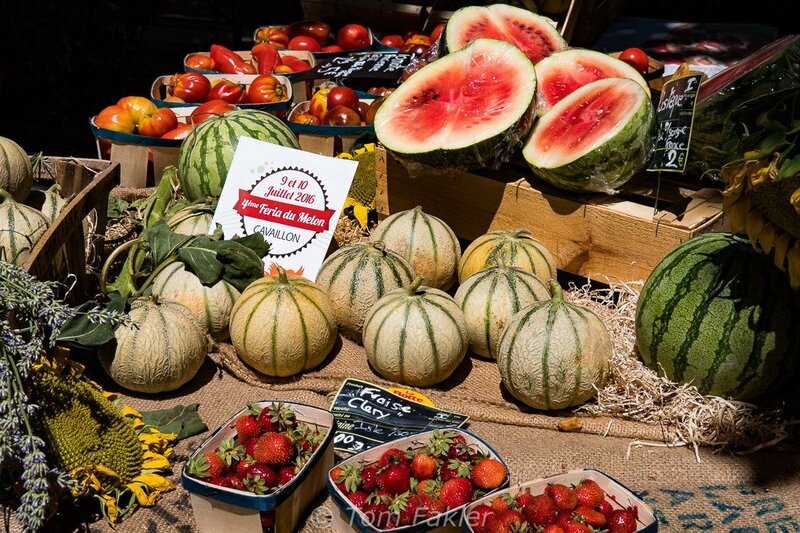 Our visit to the Melon Festival was a feature of summertime travel in Provence with Bliss Travels, who offers glimpses of hidden gems of Provence several times a year. 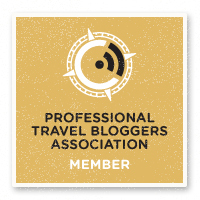 Each trip highlights the best of the season for wine lovers, foodies, sightseers and photographers. 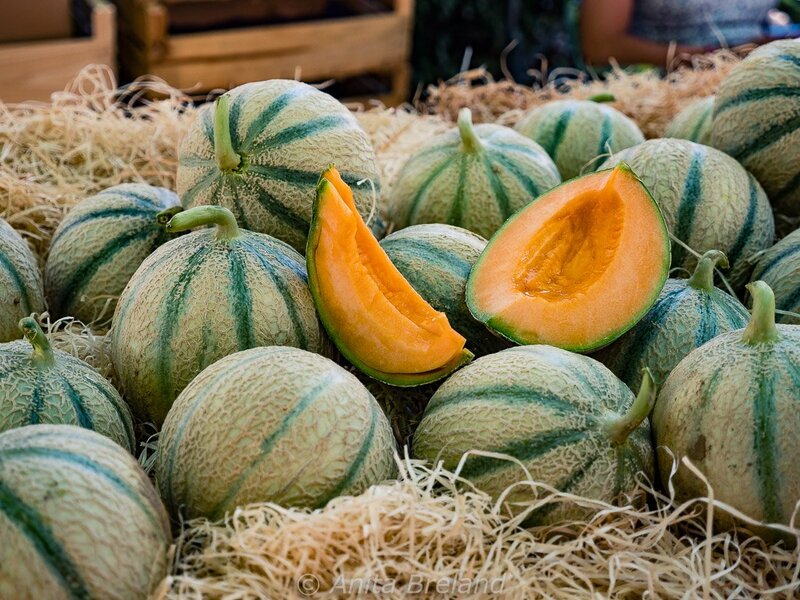 Cavaillon’s Fête du Melon is held on the Friday and Saturday preceding the 14th of July, Bastille Day. 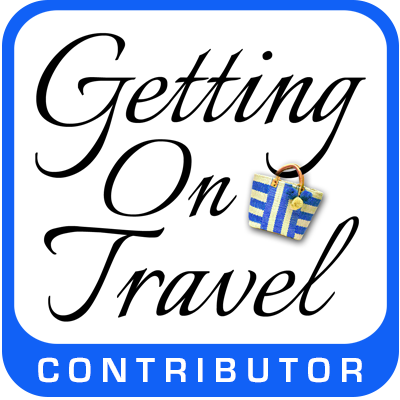 Check the dates on Avignon & Provence.com. 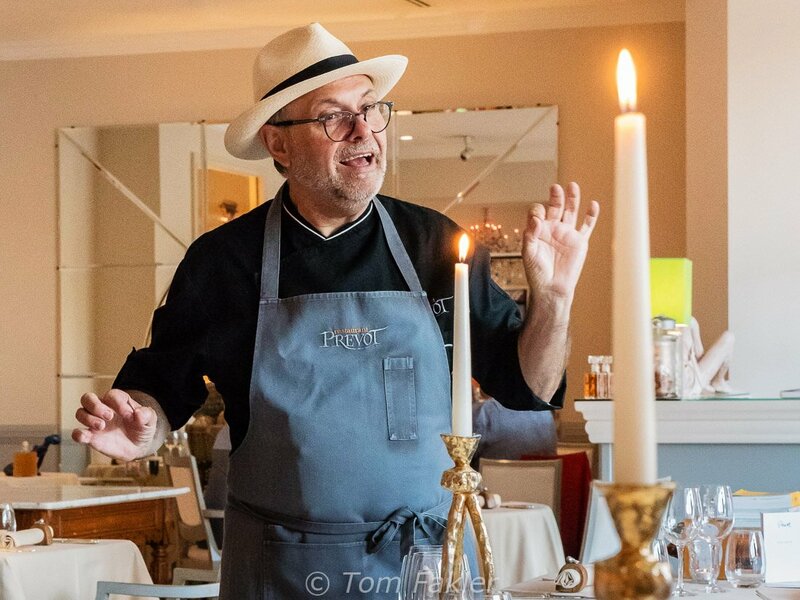 Thanks to Bliss Travels for introducing us to fabulous Provençal foods and wines, and to the wonderful ‘Monsieur Melon’, Chef Jean-Jacques Prévôt! What a wonderful article and, as always, great photos by Tom. It was a fabulous, one of a kind, meal and I’m so happy that the chef and Sandra Rose were able to create that special and unique appetizer for us so I didn’t have to chose amongst the many things on the menu for our meal. 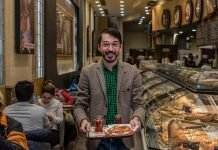 Prevot deserves many accolades for both his food and the charm of his restaurant and his people! Hope to see you again Anita and Tom. Thank you Wendy. It was clear that our hosts pulled out all the stops to make the evening truly special…we loved every bite!